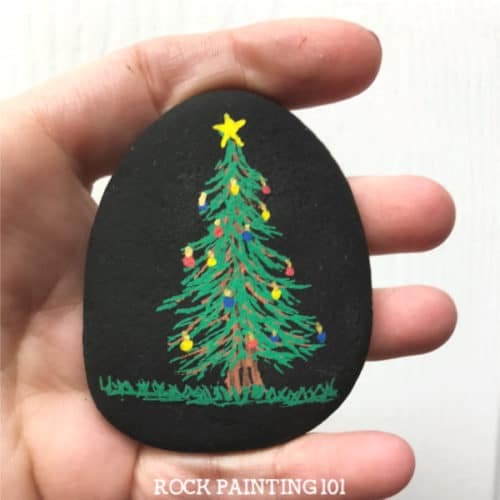 Learn how to paint a Christmas tree for fun holiday rocks. 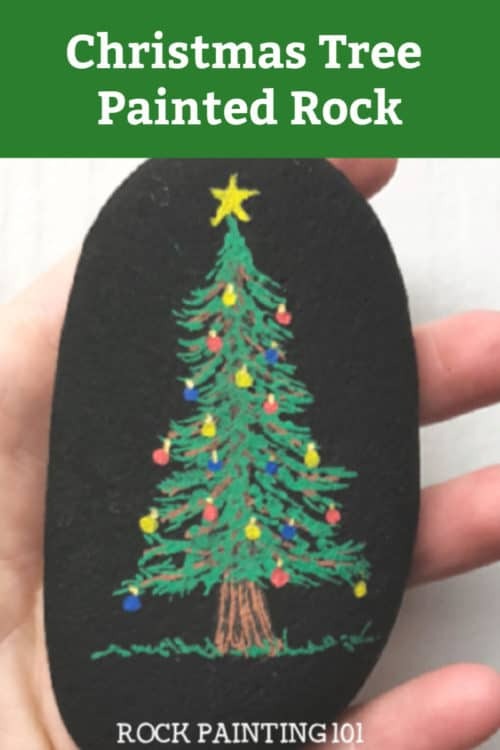 Watch the video tutorial and see just how easy these Christmas stones are to create. 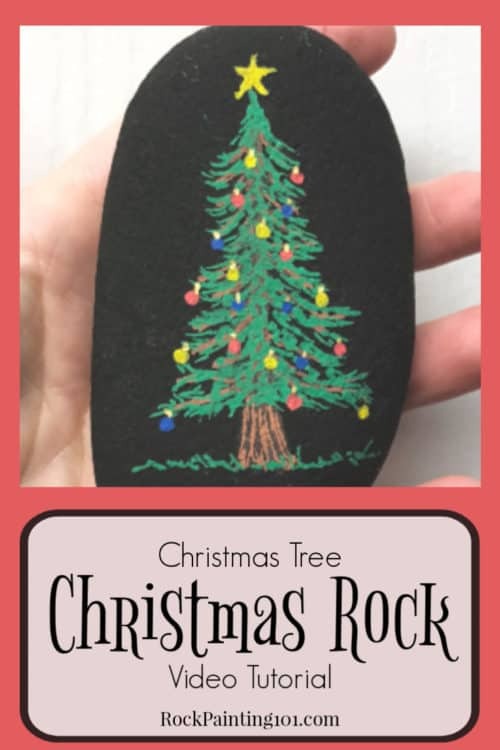 They are perfect for stocking stuffers, hiding this winter, or giving to a friend! 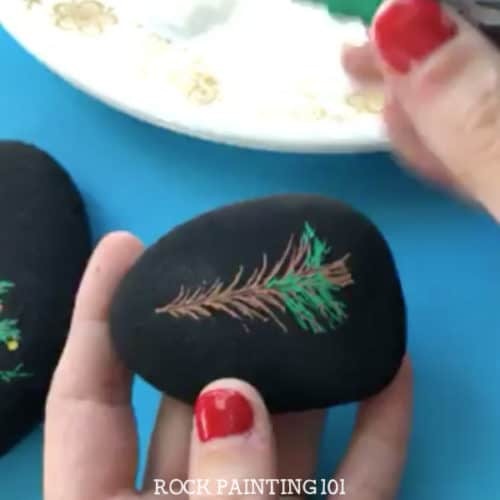 When you see rocks popping up all over it can be hard sometimes to visually see how to break it down to recreate one of your own. This natural looking Christmas tree is no exception. 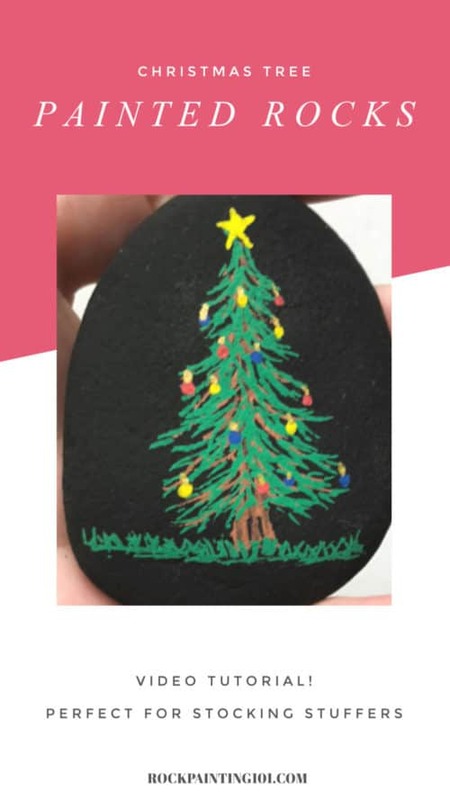 But, we will break it down step by step so you can learn how to paint a Christmas tree! This page contains affiliate links which means if you make a purchase using the link, I could receive a commission. Check out all the details here. 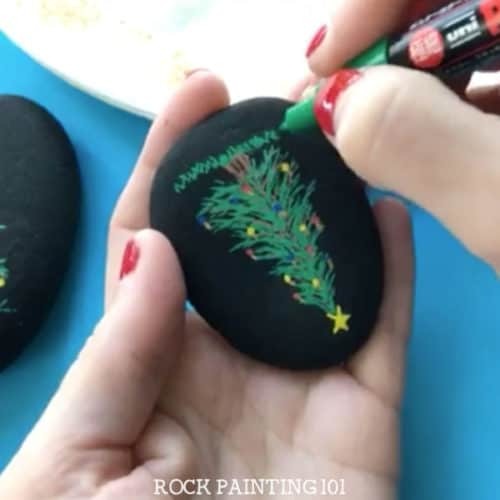 I use 1M (Extra Fine) Poscas for this rock painting idea. 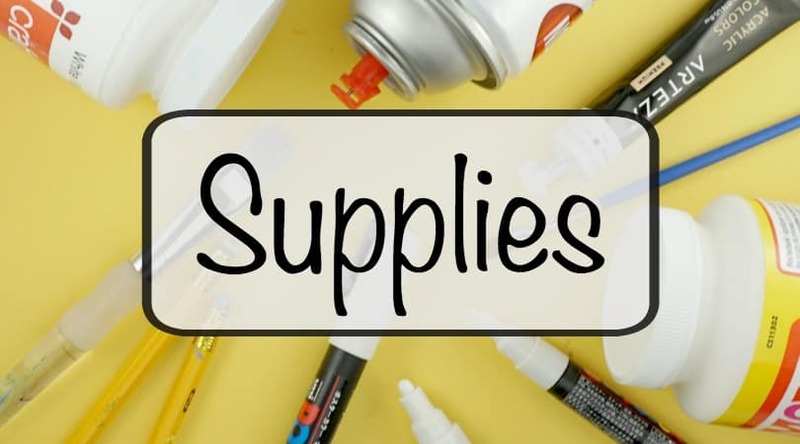 If you need rock painting supplies, check out our Amazon shop! Start by placing your trunk on your tree. This will give you a good idea of how big you want your tree to be. 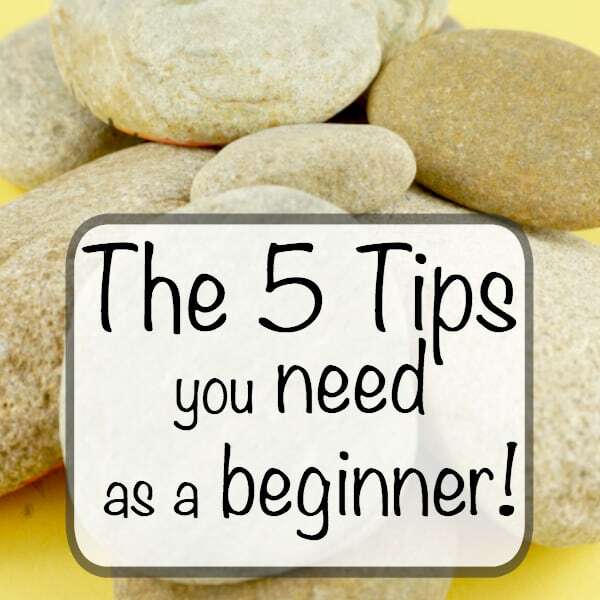 Widen the base to create a very tall and skinny triangular shape. Now pull some branches out to each side. You want them to go at a downward angle. Add in a few dabs of black and blend using a slightly wet paintbrush and a very light hand. This will give your drunk a bit of depth. 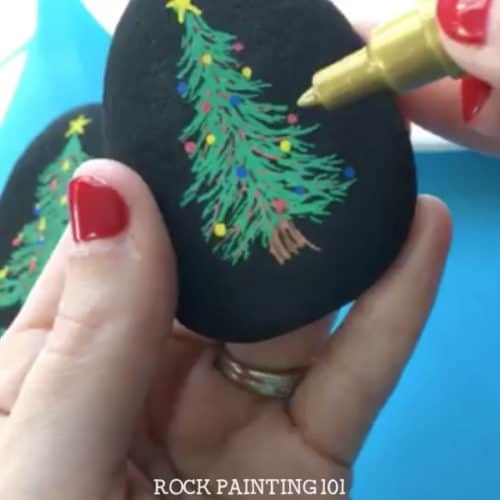 You can pull some of this black paint onto your branches as well. 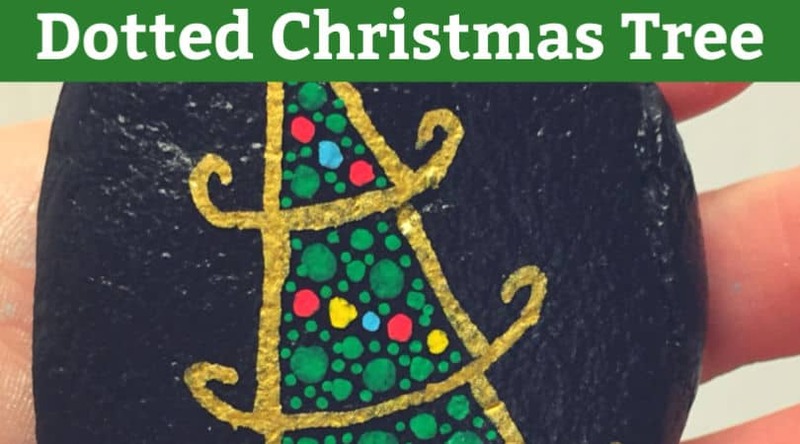 Now start adding on your pine needles. Pull short little strokes of green starting at the edge of the branch back to the base of the tree. Make sure to add some along the main trunk too. There would be branches there. 101 Tip: When adding your pine needles be careful to allow some of the brown and backdrop to show through. 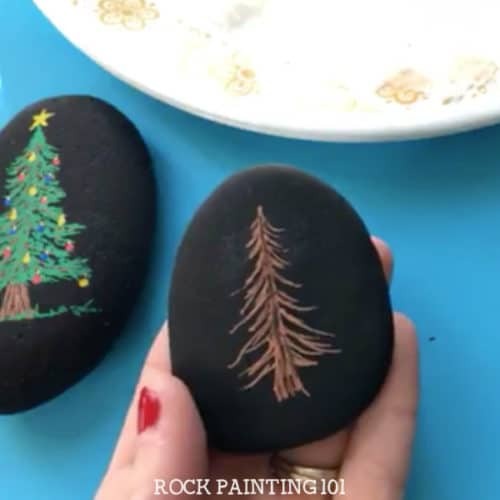 This will give your tree more dimension. When your branches are all dry start adding in your decorations. I added blue, red, and yellow bulbs with a star on top. I then used gold to create the hooks to hang my bulbs on the tree. This allowed me to have a few hang out over the edges. Last I added some grass. 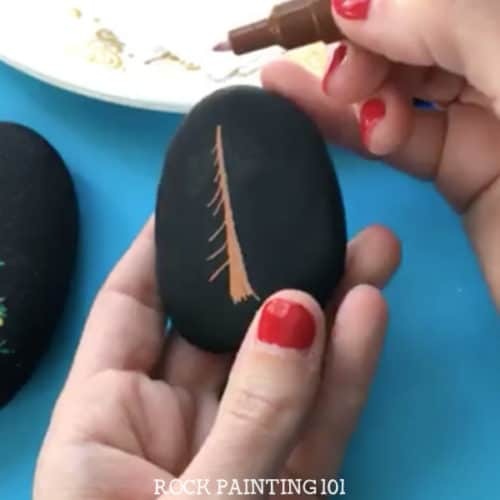 For this flip your rock so your strokes are pulling up. This will create more of a tip for each of the blades. You could also cover the ground with snow or even gifts! 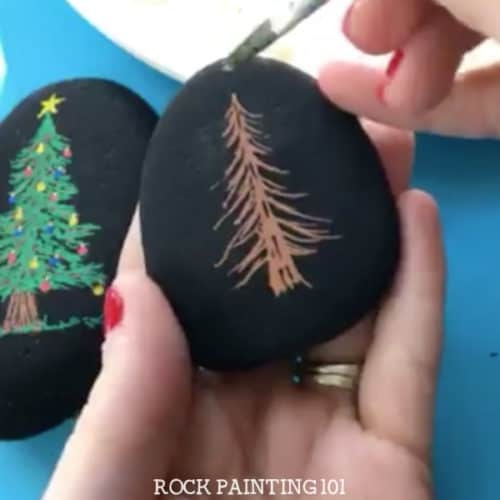 See how easy it is to paint a Christmas tree rock! 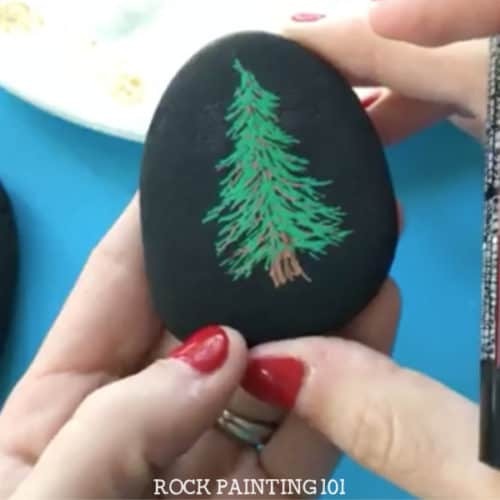 How to paint a pine tree on rocks! 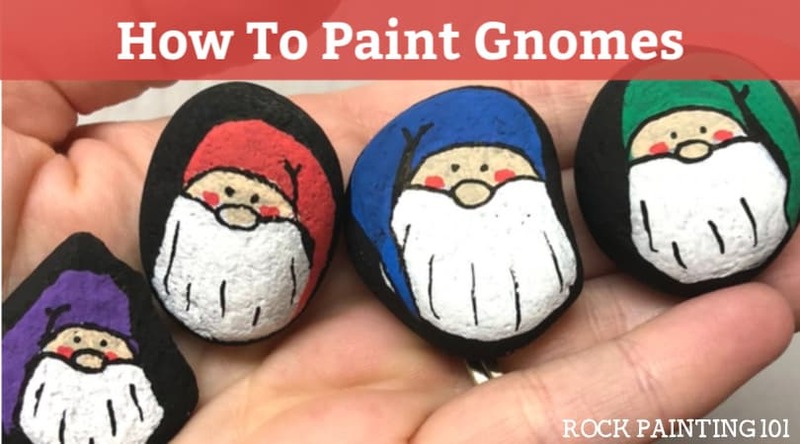 Follow us on YouTube so you never miss a rock painting video! 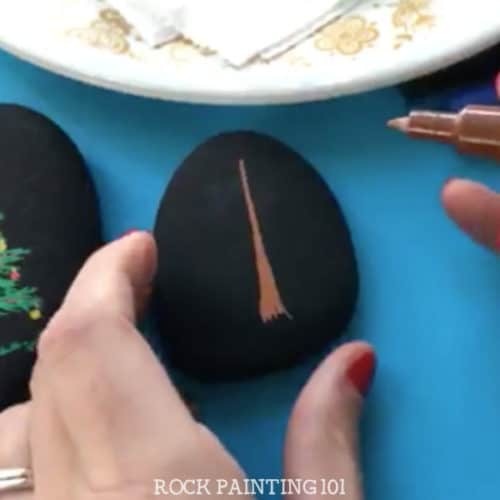 Pin this Christmas rock to your favorite Pinterest board! 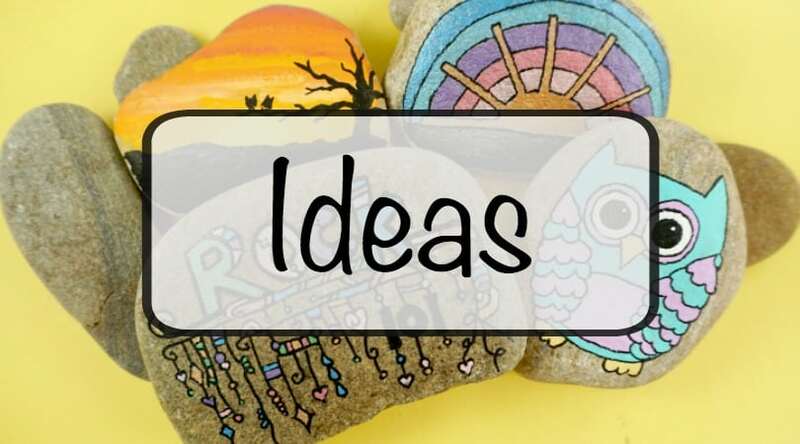 Get weekly inspiration straight to your inbox!